Okay guys, we’re officially a few days away from 2015, so it’s time to put your pen to paper and write out your New Year’s resolutions. I’m a big fan of this tradition because I think we all have areas in our lives that can be improved with a little work. While many people have their eyes on getting into better physical shape, I would suggest also getting in better fiscal shape in 2015. Here are some resolutions you can make that will set you up for success, and if your other resolutions don’t hold up (because who really wants to go to the gym in March anyway?) you can at least point to having achieved these! Budgets are a great tool that can keep you on track to reach your financial goals. They also raise a red flag for you when you might be overspending, or let you know when you might end up with some extra cash at the end of the month. When building a budget you’ll need to first list your income streams and then your expenses. Over the course of a year, your expenses should be lower than your monthly net income stream. If not, then you’ll need to figure out how to either lower your expenses or up your income. When building out your budget remember to pay yourself first, meaning you should have a line item for savings. For tips on creating a budget, check out my article here. Do you have enough money in your emergency fund right now? You should have enough money to pay for six to twelve months of your fixed expenses. If you don’t have that amount right now, that’s where your savings should go first before saving for a vacation or even paying down debt. You should also keep this money so that it is easily accessible, like a savings account or money market. This money should only be used for true emergencies such as job loss or medical costs. Debt isn’t always a bad thing. Taking on debt to buy an asset that can grow in value like a house or a business is typically a good bet. However, there’s definitely “bad debt” that you should try to pay off as quickly as possible. If you have non-essential debt in your life from credit cards, or personal loans, etc., you should develop a one to 5 year plan to pay them off. One suggestion that I’ve seen help many people is to actually start with paying off your smallest debt first, then snowball up to paying off your largest debt. That way you can quickly see progress in eliminating even some of your smaller balances. This progress will serve as a motivator to continue the journey to becoming debt free. We can’t prepare financially for everything, which is why having emergency savings is so important. However, there are many things that we can plan and save towards, so take a look at your upcoming plans for 2015 (and maybe 2016 and 2017), and think through any life events you have coming up. If you’re thinking about paying for a wedding, having a baby, saving towards college or starting your retirement savings, these are all things you can build into your budget. Once you’ve built up your emergency savings and your debt is under control, you can allocate extra money to some of these important life events. Most of these above mentioned resolutions revolve around utilizing the budget you’ll set up today, but we all know things don’t always go as planned. You might find yourself needing to get your car repaired one month, or you’ll need to put some money towards a birthday gift the next. Rather than getting frustrated and just giving up on your budget all together, instead, plan on spending at least one hour either at the beginning or end of the month looking over your finances to tweak them so that you’ll stay on track, despite surprise expenses. 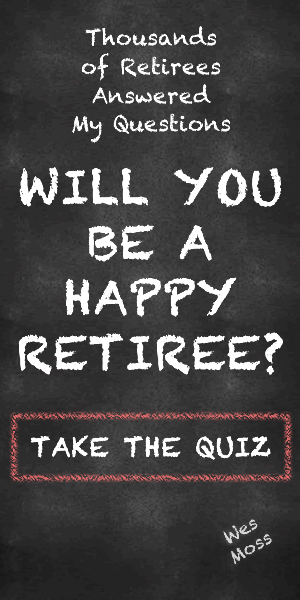 In research for my recent book, You Can Retire Sooner Than You Think, I learned that the happiest retirees spent at least five hours a year planning their retirement. That means you just need spend at least 25 minutes each month thinking through your retirement plan, your budget, and your overall financial goals. Then you’ll be in great financial shape and set yourself up for a happy retirement! Financial planning and budgeting isn’t about depriving yourself from every joy in the world. So, I like planning for fun. Put it in the budget, and plan for it. That way, when it comes time to spend money on something that you love to do, you won’t feel guilty about it because it’s already in the budget! So, go enjoy a dinner out with your significant other, or catch a concert with some friends. The real trick to being successful with New Year’s resolutions is to set attainable goals. The above ideas for financial resolutions should be adapted to fit your situation, and help get you on the right path to financial freedom. Happy New Year!